.Two of the flavoured gins that we first looked at were recreations of the Gordon’s Lemon and Orange Gins from the 1930s. 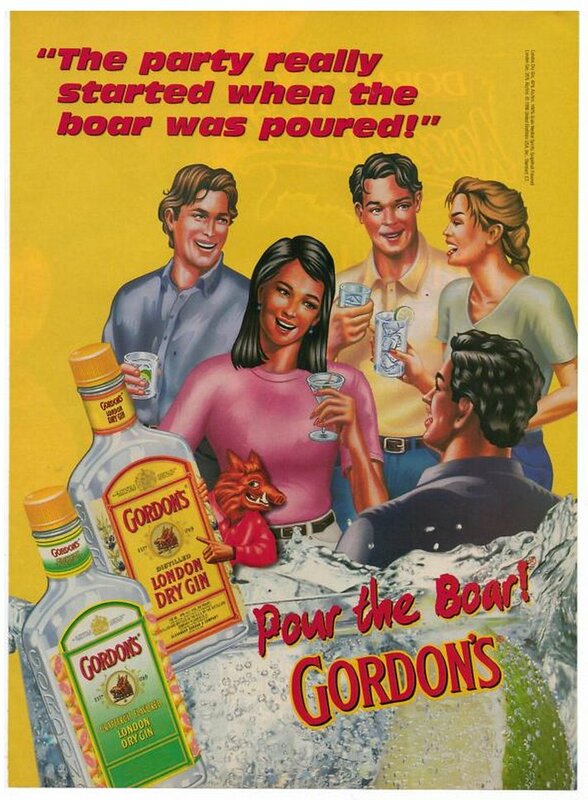 More recently (in the last 30 years), however, Gordon’s (in the US) made a Grapefruit (and a Spearmint) flavoured gin in the late 80 – 90s. This is the same period in which Beefeater was making three citrus-flavoured varieties; orange, lime and lemon. My gin was made by adding the zest of a grapefruit to 250ml of gin and leaving it for a week (in hindsight this was too long!). Nose: Dry, with notes of juniper and zesty grapefruit peel. Taste: Very intense: zesty and tart with a good dose of bitterness, too; not for the faint-hearted. This was rather good and the best of all of the citrus flavoured gins that I have tried. It was very fresh and refreshing, and there was a real grapefruit twang at the end, too. This would be a good G&T for those who like a little bitterness in their life. Very citrus-y, so no twist needed here. It was quite bitter, too, as well as being clean and crisp. This will really appeal to fans of grapefruit and/or cocktails with zing. Another simple cocktail: simply a gin shaken with ice. The shaking lengthens and aerates the gin, curbing the grapefruit’s zestiness slightly and allowing you to enjoy the flavours of the underlying gin a little more. This chilled serve also makes for a more refreshing drink. I added an extra dose of bitters and the gin favour is quite strong. The result is a herbal and citrus bitterfest. If you like the like of campari and other bitter herbal liqueurs then you will probabaly like this. It leaves a really zing on your tongue. Rather nice; again, no extra citrus was needed, as this was even more zesty than a usual Gin Buck and, as a result, was very refreshing. Would be lovely for summer. As I mentioned previously I think I made and overly zesty and intense gin and as such this version worked best with long drinks, so the edge of the citrus bitterness could be curbed. As such my favourite drinks were the Gin & Tonic and Gin Buck. 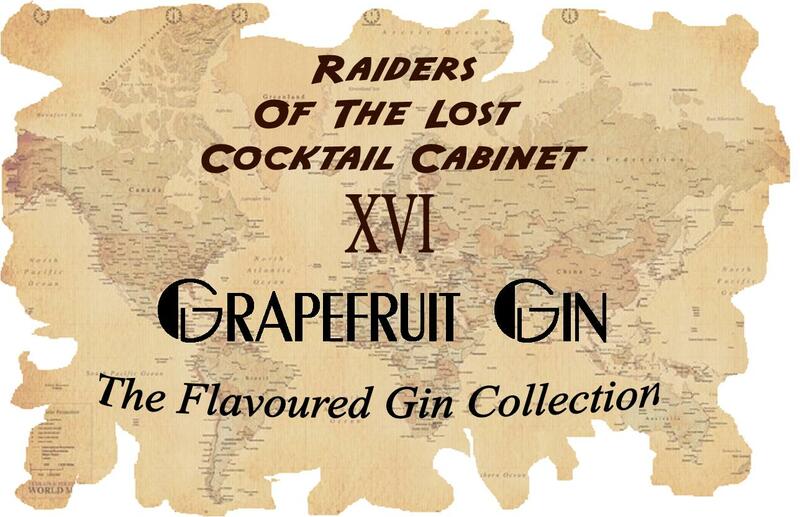 This entry was posted in Raiders of The Lost Cocktail Cabinet and tagged flavoured gin, fruit gin, grapefruit gin, raiders of the lost cocktail cabinet by DTS. Bookmark the permalink.